I love your Snow Bird block!! So freash and pretty! I don't do embroidery - maybe some day!! So glad you are loving your job with Aurifil!!! Thank you so much Cathy! Work has definitely been a fun adventure! It's mostly computer work and I don't always get to do some sewing, but I love when I do. Great block! 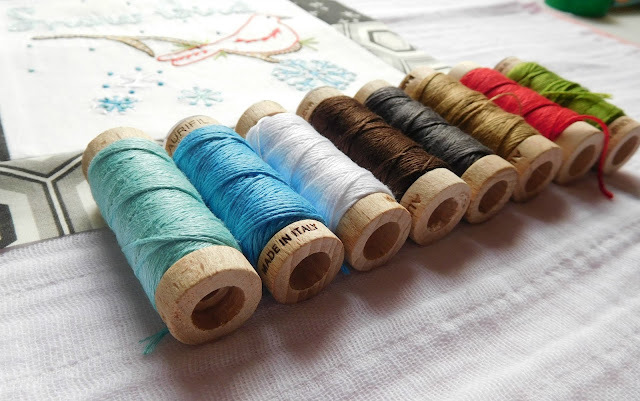 Lucky you to have the job with Aurifil! That would be such a fun job to have. I've enjoyed the process as well! I changed it up a tad by adding bits of applique pieces in this go round!